Edge welded bellows act as a flexible seal when designed as a mechanical feedthrough, allowing movement of a tool within a sealed environment under vacuum or positive pressure. Linear and angular motion for wobble stick applications is also available. 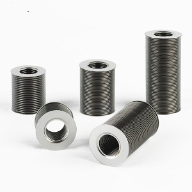 Metal bellows are also used within a bearing housing to translate rotation from an input shaft to a co-linear output shaft while sealing hermetically, eliminating the need for a dynamic seal. Edge welded bellows provide the greatest flexibility and motion of any bellows technology, reaching a 90% stroke length. Edge welded metal bellows can be exposed to extreme temperatures and media with a wide selection of materials. Both the inside and outside of the bellows can be exposed liquids and gases as well. 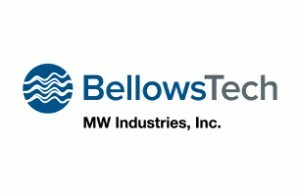 By changing the diaphragm thickness or creating a mutli-ply assembly, BellowsTech can reach higher pressure ranges than ever thought possible with a welded assembly. 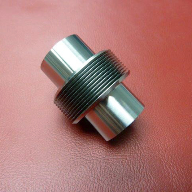 Bellows can be manufactured for positive pressures as well as ultra high vacuum (UHV). With a high level of expertise in design and manufacturing, BellowsTech can build the assembly to customer specified prints. With expertise in specialty welding, lean manufacturing practices, and tight machining tolerances, bellows assembly services create a cost effect, reliable feedthrough solution.